With about eight weeks until an official LSAT administration, test day is right around the corner. In fact, it’ll be here before you know it. Don’t panic! I’m not here to freak you out. In fact, I’m here to help. Below you’ll find a list of resources, links, and general suggestions, all designed to help you make the most of your final two months, and finish–or, as may be the case, start–strong! First things first, you’ll want to make sure you’re registered for the exam. Don’t delay! Go to LSAC’s registration page here and sign up. Now that you’re registered, the next seven to eight weeks become all about improving your LSAT score. If you are a student currently enrolled in a PowerScore course, congratulations: the course itself will give you all of the structure and guidance you need to make the most of your time! Ditto for those about to begin a course. You’re on the right path. To capitalize on the remaining time, you first need a plan of attack! Fortunately, we offer a comprehensive eight-week plan for self-studiers (those working with the PowerScore Bibles) here. If you are just starting out that is a tremendous asset, as it will outline exactly what you’ll need to do over the coming weeks. For many people, the primary focus of the last two months is a shift away from conceptual knowledge, and towards timed practice tests, as you prepare your body and mind for the rigors of test day. Once you feel you have a strong grasp of the mechanics of how to beat the exam, it’s crucial you put those skills into practice with test content in the form of complete LSATs. Typically we encourage around 2 timed tests per week on average (three, or even four, is acceptable if you have the time and energy), but always prioritize quality over quantity: given the choice of thoroughly reviewing a completed test, or taking another test, ALWAYS go with the review. Similarly, before you commit yourself to practice tests over conceptual review, you need to be fully confident that your conceptual understanding is rock solid! Don’t skimp on the fundamentals to get to the application. As you begin a more intense practice test schedule be sure to read this information to better understand exactly how you should self-administer an exam. And if you need additional tests or problem sets, our extremely popular Type Training series lets you focus exclusively on your problem areas without distraction or wasted time. 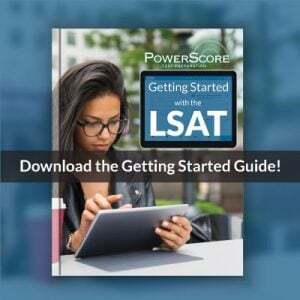 Our philosophy at PowerScore has always been much more about how we can help, rather than how we can sell, and to that end we provide a wealth of free content and assistance to everyone, not just our students, looking to succeed on the LSAT. So let me direct your attention to a few spots where there’s help to be found without paying a penny. 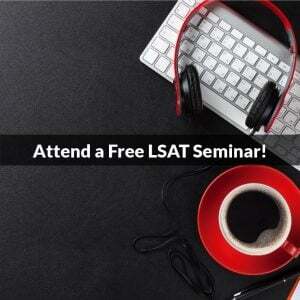 First is our LSAT Discussion Forum. Monitored by PowerScore instructors and staff nearly around the clock, the Forum is a place where students and non-students alike can ask questions, seek advice, and even post about their own LSAT experiences, and receive expert assistance throughout. Use it! Secondly, we have a Free LSAT Help Area on our website that covers every aspect of the test—from the fundamentals to the truly unique (Profile Charting games, say)—as well as Admissions. Again, use it! There is so much awesome content provided on those pages; take a moment and read through some of the articles, and listen to some of the virtual Lessons. You’re sure to learn something useful. 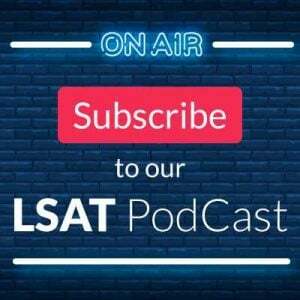 To use an oft-quoted line, “How you expect to perform on the LSAT is likely to become reality.” Your final month or two, and in particular your final week, should see you actively constructing the ideal mindset for success on test day. You simply have to be in the right frame of mind if you want to perform as well as possible. • How to walk into the LSAT and destroy it! • How to “hack” your brain for improved performance! Finally, in the days immediately before the test, watch the Virtual Module on Test Mentality at our Free Help Area—Free Lessons page. Be sure to follow the specific recommendations in that discussion! You still have plenty of time to see tremendous improvements in your LSAT score, but time is truly of the essence—spend your final weeks wisely and give yourself the best possible chance to succeed on test day! Image “Matches” courtesy of Patrik Theander. What score should I have at this point to know if I’m ready to move on to the real lsac? Hi Justin – thanks for the question! To answer it though I’d need to know a few things, primarily what score you’re looking for and what score(s) you’re currently getting. So let me know where you are and where you hope to be–and hopefully more, as my colleague Dave Killoran outlines in his excellent post–and I’ll be happy to provide more specific suggestions.